Our Mat is a 2 in 1 Design! Chocolate Forest Changing Pad/Mat is a 2 in 1 design that has redefined its product category as the only hybrid changing station that is comfortable enough for both permanent and portable use. 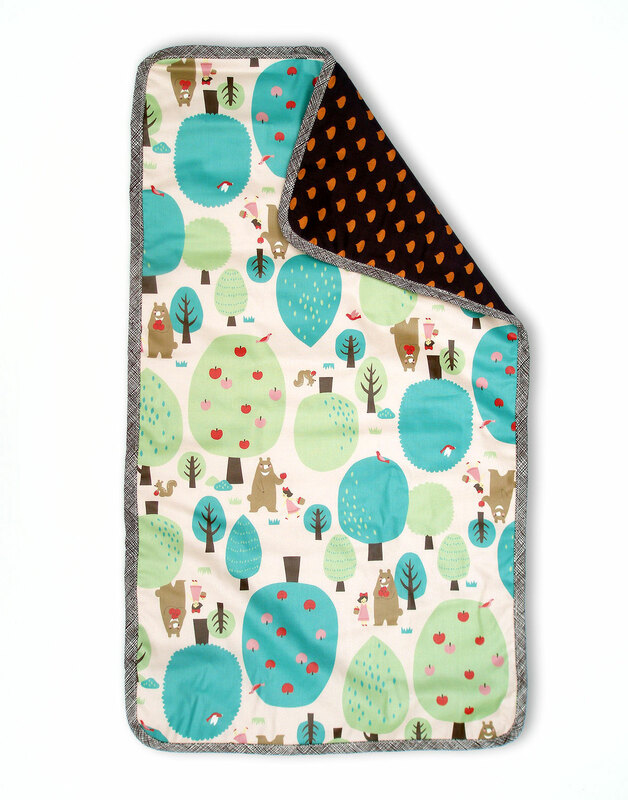 This compact changing pad/play mat has a waterproof exterior on one side to both protect your baby and save surfaces from leaks. The other side unfolds to reveal a soft 100% soft cotton side for your child to lie on while being changed out and about, or at home. 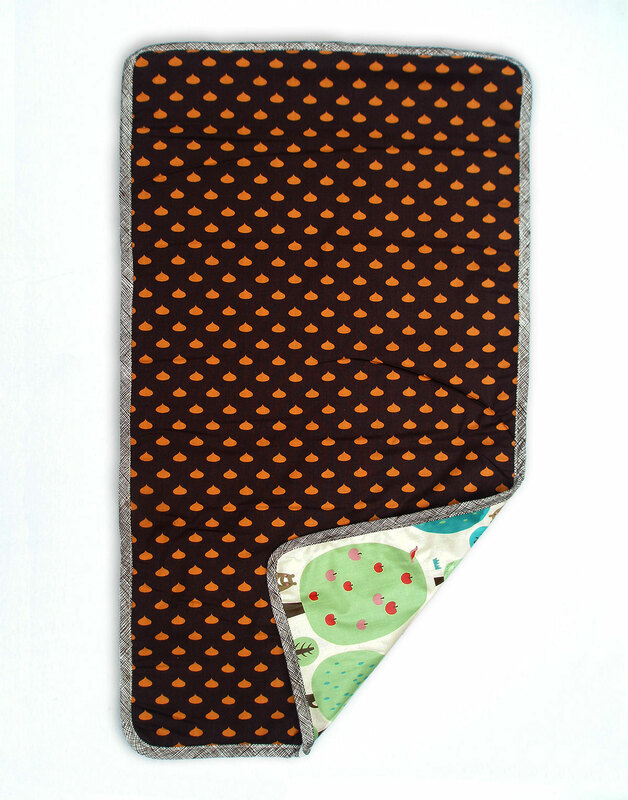 Our pad/mat incorporates a lush quilt-like superior comfort and support for baby while still enabling ultimate portability for the on-the-go parent. Parents make a huge investment into their child’s nursery to achieve both comfort and style. With today’s active lifestyles, parents are looking for that same comfort and style while away from the nursery and on-the-go. Our pad/mat satisfies that desire, which sets it way apart from the rest. SKU: AuntBucky-CF_CP. Categories: Babies, Changing Pad/Play Mat. 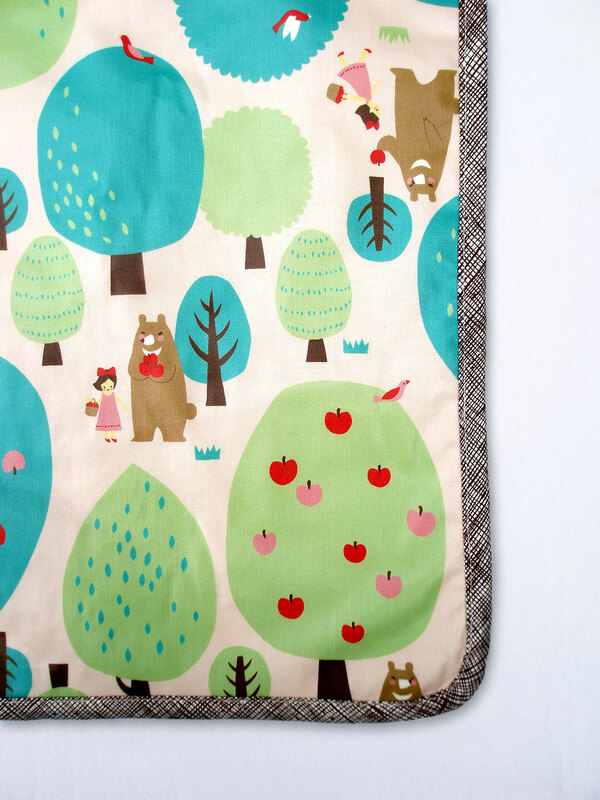 Tags: Aunt Bucky, changing pad, diaper station, laminated changing mat, play mat, stroller liner, the plush pad, waterproof play mat. ALL ITEMS IN STOCK + READY TO SHIP OUT. – Layered with super soft quilted cotton batting which gives a lovely padded layer, perfect for baby play & tummy time! 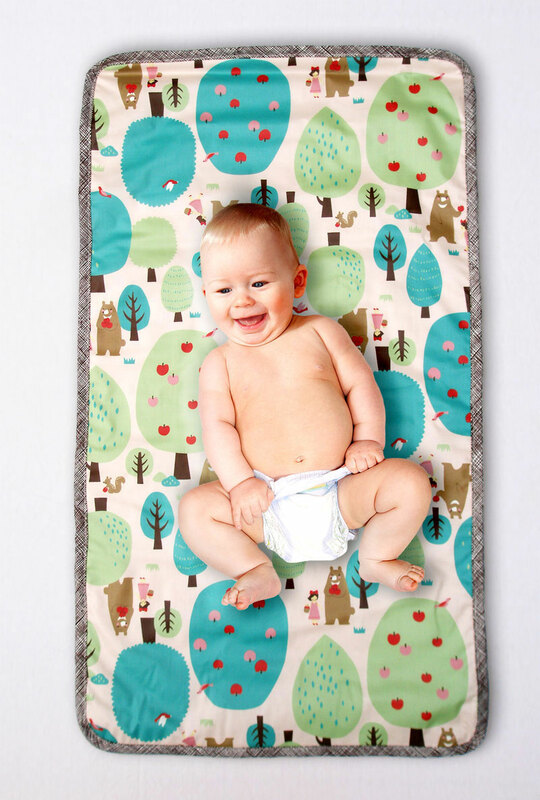 – Our changing pad/play mat has a waterproof exterior on one side to both protect your baby and save surfaces from leaks. The other side unfolds to reveal a soft 100% soft cotton side for your child to lie on while being changed out and about, or at home. – This beautiful Baby Changing Pad/Mattress is soft & flexible . 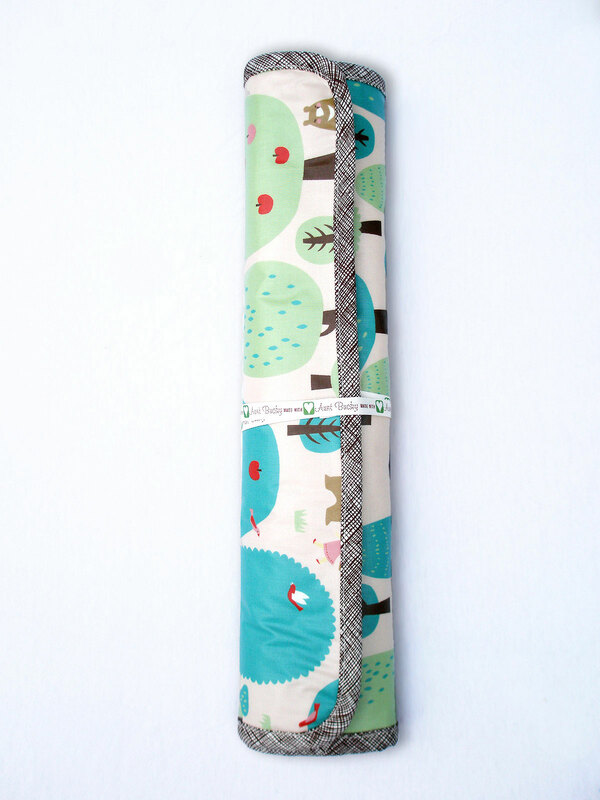 Our mat/pad has a waterproof laminated fabric on one side and a 100% Cotton soft canvas on the other side, so perfect for using outside, guaranteed to keep baby dry and damp free. – Once opened, it gives you a clean and padded area for your child to lay upon when changing diapers on the way and enough room for you to kneel on too. – Can be used as a liner for stroller too. Easy to roll up and carry with you on your travels..
– Portable change mat, perfect for throwing in your handbag when you want to travel light. 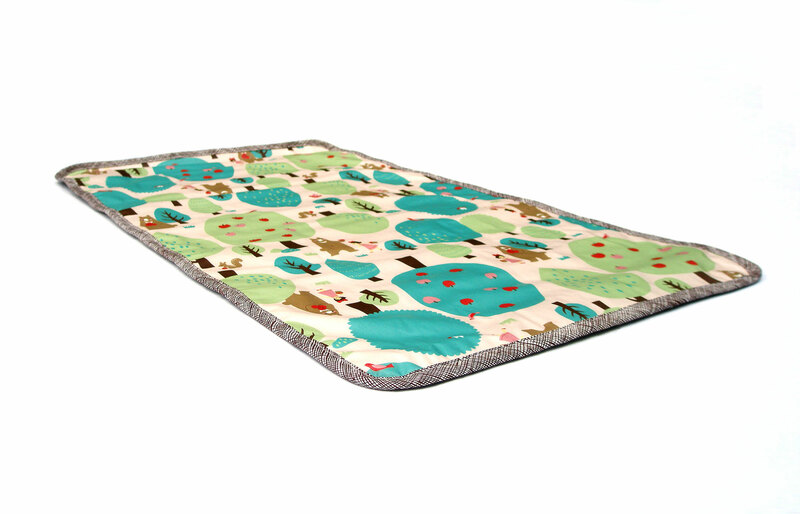 – Providing a luxurious surface for diaper changes but also a safe & cozy mat for tummy time, and play time, this unique mat/pad is so versatile. – Laminated Fabric side is Water Resistant PVC Free and Polyurethane. – Our signature ribbon tape: ‘Made with Love Aunt Bucky’ is used for wrapping and to tie pad/mat. – Dimensions: 18” wide and 32” long. – Cotton Fabric side is 100% Cotton. – Wipe Clean with Damp Cloth on laminated side when needed. – Do Not Iron. Do Not Bleach. Do Not Dry Clean. – Made in the USA. All designs and content copyright ©2007-2017 Aunt Bucky.